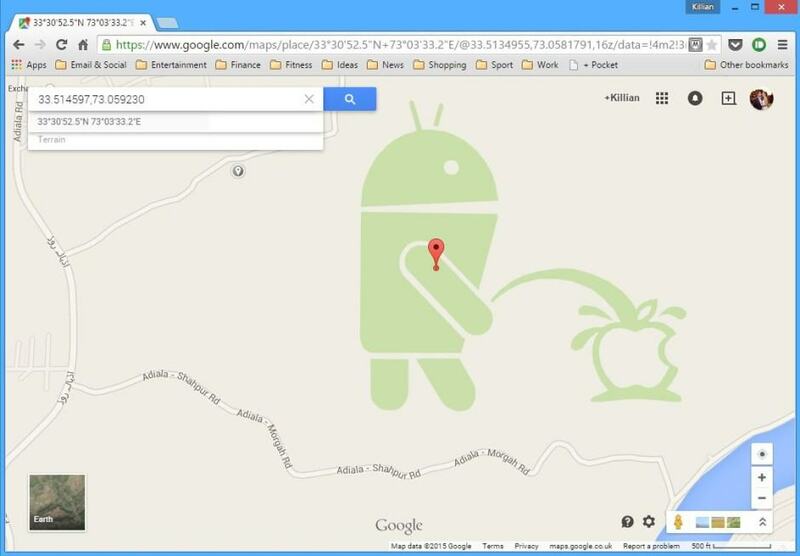 Google is behind some of the best Easter eggs in tech, and its latest is sure to be popular among hard-core Android fans. 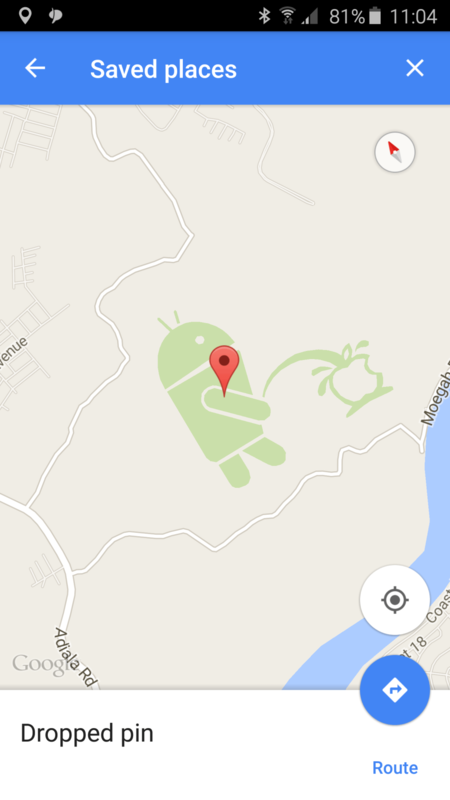 Spotted in Google Maps near Rawalpindi, Pakistan, it’s an image of the Android bot urinating on an Apple logo. It is perhaps the cheekiest Google joke to date, and it’s rather surprising that the search giant would allow something like this to go public. It will almost certainly be removed now that it has been found, but for now, you can see it in Google Maps on the web and on mobile. The image appears only when looking at the traditional map view; if you’re checking out satellite imagery, you won’t find it.